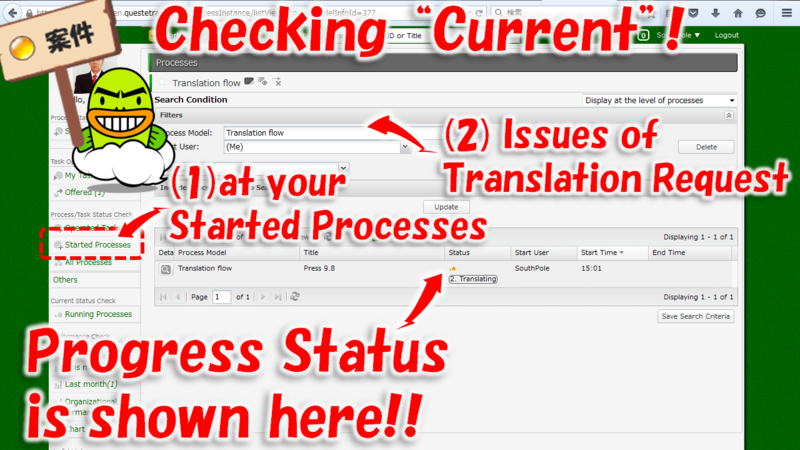 When you want to check to see the Issue you have Started about 'which Step it is at now', check the state of the Issue in "Started Issues List". 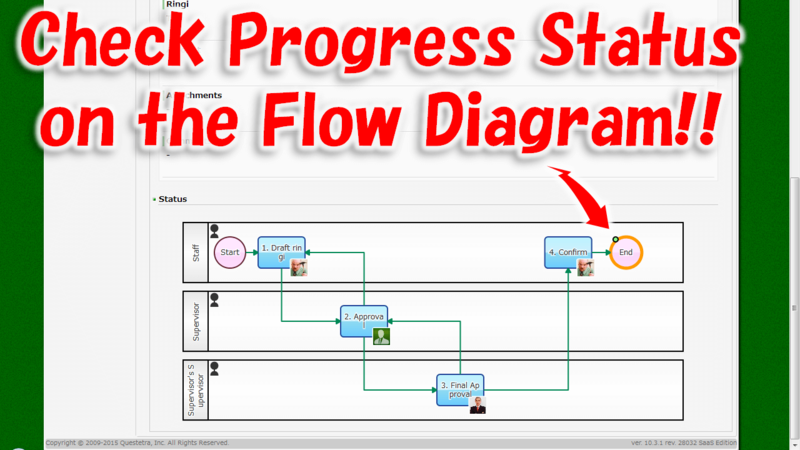 You can also check the progress (Step) of the Issue on the Flow diagram in the [Details] of each Issue. 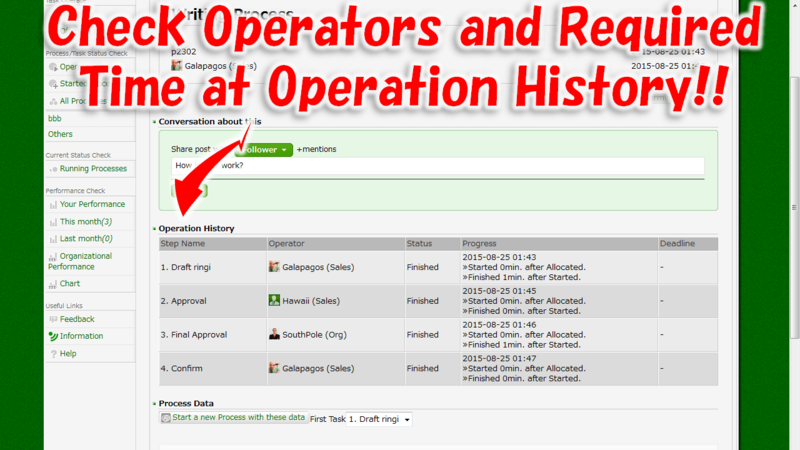 The current progress of the Issue that you had engaged can be checked at the details of the Issue in the list of history of handling (Operated Tasks). You can also narrow down the list of your handlings by "Arrival time", etc.